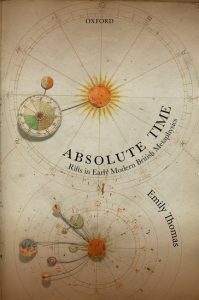 (2018) Absolute Time: Rifts in Early Modern British Metaphysics. Oxford University Press. The first study of British absolute time theories, the view that time is a kind of mind-independent thing. It covers British philosophy from the 1640s to the 1730s, and advances new readings of many thinkers, including Henry More, Walter Charleton, Isaac Barrow, Isaac Newton, John Locke, Samuel Clarke, and John Jackson. (2018) Early Modern Women on Metaphysics. Cambridge University Press. 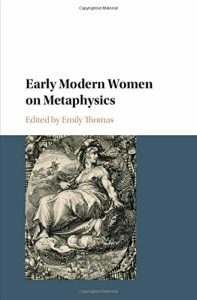 The first book on the metaphysics of neglected early modern women philosophers, discussing causation, natural laws, identity, freedom, and many other issues. It covers Anna Maria van Schurman, Elisabeth of Bohemia, Margaret Cavendish, Anne Conway, Damaris Masham, Mary Astell, Catharine Cockburn, and Émilie du Chatelet. Reviewed in: Notre Dame Philosophical Reviews (2018), Journal of the History of Philosophy 57 (2019: 167-168), the Times Literary Supplement (2019). (forthcoming) “Anne Conway as a Priority Monist: A Reply to Gordon-Roth”. Journal of the American Philosophical Association. (forthcoming) “May Sinclair on Idealism and Pantheism”. Journal of the American Philosophical Association. (forthcoming) “The Roots of C. D. Broad’s Growing Block Theory of Time”. Mind. (2018) “Anne Conway on the Identity of Creatures over Time”, in Emily Thomas (ed. ), Early Modern Women on Metaphysics. Cambridge University Press. (2017) “Creation, Divine Freedom, and Catharine Cockburn: An Intellectualist on Possible Worlds and Contingent Laws”, in Jacqueline Broad and Karen Detlefsen (eds. 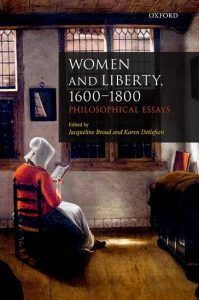 ), Women and Liberty, 1600-1800. Oxford University Press. (2016) “Samuel Alexander’s Spacetime God: A Naturalist Rival to Current Emergentist Theologies”, pp. 225-273, in Y. Nagasawa and A. Buckareff (eds. 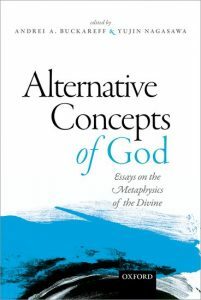 ), Alternative Concepts of God. Oxford University Press: New York. (2018) “Samuel Alexander”. Stanford Encyclopaedia of Philosophy. (2014) “Samuel Alexander”. Oxford Bibliographies. Oxford University Press. (2014) “John McTaggart”. Oxford Bibliographies. Oxford University Press. (2014) “John McTaggart Ellis McTaggart (1866—1925)”. The Internet Encyclopedia of Philosophy. (2016) “Descartes-agonistes: Physico-mathematics, method and corpuscular-mechanism 1618-33, by John Schuster”. Annals of Science 73: 112-114. (2015). 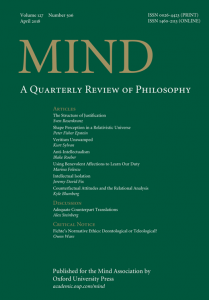 “Self, Reason, and Freedom: A New Light on Descartes’ Metaphysics, by Andrea Christofidou”. Mind 124: 616-619.